The citizens of New York State were robbed last year and the Federal Energy Regulatory Commission is still trying to figure out who did it. The New York Independent System Operator (NYISO) manages New York’s electricity grid and administers the wholesale electricity market. They filed a complaint with the Federal Energy Regulatory Commission (FERC) in July 2008 saying that one or more market participants, between January and July 2008, scheduled inefficient transmission routes around Lake Erie to avoid paying higher transaction fees for congested routes between New York, New Jersey, and Pennsylvania. The electricity was sent over the New York routes anyway. This scheme had the potential to cause an electricity “blackout” by overloading the power transmission grid. The transaction costs were then passed on to New York state electric customers. This scheme cost New York rate payers up to $400 million. I have not been able to find any reference to this scam on the New York Times or the Albany Times Union websites, but I did find several press releases on U.S. Senator Charles E. Schumer’s website. As far as I can tell, he is the only person that is following up on this to find out exactly who did it and how much it cost the citizens of New York. You can read excerpts from several of his press releases below. You can read the complete press releases by following the links to Senator Schumer’s website. “While this is a good step forward that slams shut an outrageous loophole, FERC must now get to the bottom of how this happened with a comprehensive and public investigation. Conducting the investigation behind closed doors just won’t do. We need FERC to open up the books and determine both how much this cost New Yorkers and if that money can given back to consumers,” Schumer said. I think the Federal Energy Regulatory Commission (FERC) owes the citizens of New York an explanation. Why is this investigation taking so long and why are there no updates from FERC? It seems logical to me that the people who did it are the people who scheduled the route around Lake Erie. Don’t they know who did that yet, and if they don’t know it yet, will they ever be able to determine who it was? I know a million dollars isn’t what it used to be, but when you put a few hundred of them together, it adds up. I sent an edited version of my previous post, “Why Are Electric Rates So High In New York?”, in an email to almost every New York State Assembly Member and every New York State Senator. I couldn’t obtain an email address for a handful of them from the state website. I did this last Thursday and Friday. So far, I have only received one real reply. The rest of the replies that I received were automated, canned responses. The one personal reply that I did receive was from Teresa R. Sayward an Assemblywoman representing the 113th District of Essex, Hamilton, Saratoga, and Warren Counties. Thank you Assemblywoman Sayward. What is going on with this FERC investigation? New York needs our $250 million back. Why Are Electric Rates So High In New York? New York State has the third highest residential electric rates in the United States; only Connecticut and Hawaii have higher rates. New York is 19.48 cents per kilowatt hour (kWh), Connecticut is 20.24, and Hawaii is 36.94 cents per kWh. The average retail price of electricity for the entire country in September 2008 was 10.31 cents per kilowatt hour (kWh). Rates in New York State are almost twice the national average. You can see a list of all 50 states and their Residential, Commercial and Industrial average retail price of electricity on the Energy Information Administration website. ( The information on this site is updated monthly. As of November 1, 2009 the data is for July 2009. ) There is a wealth of information on this site, but you have to sort through it. The information above is from the December 2008 edition of Electric Power Monthly which is published by the Energy Information Administration (EIA), a statistical agency of the U.S. Department of Energy. Why are electric rates so high in New York State? New York produces more hydroelectric power than any other state east of the Rocky Mountains. The Robert Moses power plant on the Niagara River is one of the largest hydroelectric facilities in the world. Although New York’s total energy consumption is among the highest in the United States, per capita energy consumption is among the lowest in the nation due in part to its mass transportation systems in the New York City area. The average New York household consumes about one-half the electricity of the average U.S. household, largely because few use electricity as their primary energy source for home heating and because demand for air-conditioning is low during typically mild summer months. One-half the electricity of the average U.S. household? That is an amazing statistic for New York. So why are our rates so high? Only Washington State (60,778), California (28,235) and Oregon (26,225) produce more hydroelectric power than New York (20,711). These are year to date numbers in Thousand Megawatt hours. The next 3 highest hydroelectric power producers are Idaho (8,061, Montana (7,672), and Arizona 5,797). The New York Power Authority (NYPA), “America’s largest state-owned power organization”, according to their website, provides some of the lowest-cost electricity in New York State. That is a pretty vague statement considering New York’s rates are so high to begin with. I have been to the NYPA website and I can’t find their rates anywhere. NYPA was established by New York Governor Franklin D. Roosevelt in 1931 to, “give back to the people the water power which is theirs.” I think the people are still waiting for this to happen, 78 years later. The hydroelectric power plant in Cohoes, NY is owned by a company based in Canada, Brookfield Renewable Power. 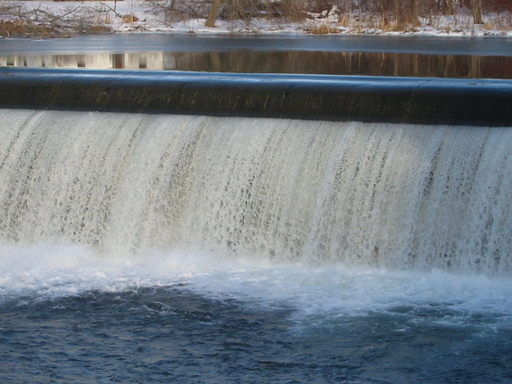 Brookfield Renewable Power operates 75 hydroelectric generating stations on 15 rivers in New York State, according to their website. An organization called Power in the Public Interest (PPI), in Olympia, Washington was “formed to promote state, regional and federal electricity polices that secure for consumers a reliable, affordable and durable electricity system.” Their website has a wealth of information and charts that compare electricity rates in all of the states. It also compares New York state electric rates to “regulated” states. Deregulation of electricity in New York has been a disaster for everyone except the power companies. Some of that $10.4 Billion could help close the New York State budget deficit that Governor Paterson is struggling to deal with, but it really should go to the citizens of the state who have been overcharged and abused for so many years. I urge you to go to the PPI website and read the entire article yourself. Even though it uses data that stops at June 2007, it goes back to 1991 and clearly shows that New Yorkers pay too much for electricity. Based on current prices and rates, I’m sure there would be no difference in this article if it was updated to include September 2008 data. Here is a link to an article titled, “Will NYPA creep away with another 50 years?” It is subtitled, “18 nauseating facts about NYPA, Niagara and you.” It is interesting reading. I live within a few miles of three hydroelectric power plants. 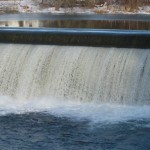 They are small, but they use the power of the Hudson River, Battenkill River and Fish Creek to generate electricity. Yet I still pay some of the highest electric rates in America. Dramatically cheaper electric rates would benefit everyone in New York state. Can anyone explain this to me? Why can’t we have the lowest rates in the country instead of the 3rd highest? Feel free to email this post to your New York State Assemblyman or Assemblywoman and your State Senator. You can find their email address here. Under State Government, click on Assembly, New York State or Senate, New York State to find your representative. I would love to hear your thoughts. Be sure to read High Electric Rates in New York, Part II, the next article on this blog. If you found this post by doing a Google search and didn’t find the answer to your question, let me know what it is and I will try and find the answer for you. You can leave a comment or go to the home page and send me an email directly. Thank you. I appreciate your visit.